Learning how to grow zucchini and other summer squashes in your garden is like buying an insurance policy for your garden. Once you have a couple of thriving squash plants, your garden will provide plenty of delicious, fresh food for your family. In fact, in terms of the amount of food produced per plant, summer squashes are impressive. There is a reason that the stereotype of vegetable gardeners who hand out zucchinis to everyone they know exists, after all. And once you know the basics of growing zucchini, you can be that gardener, too. Find out how to grow zucchini and summer squashes in your organic garden. 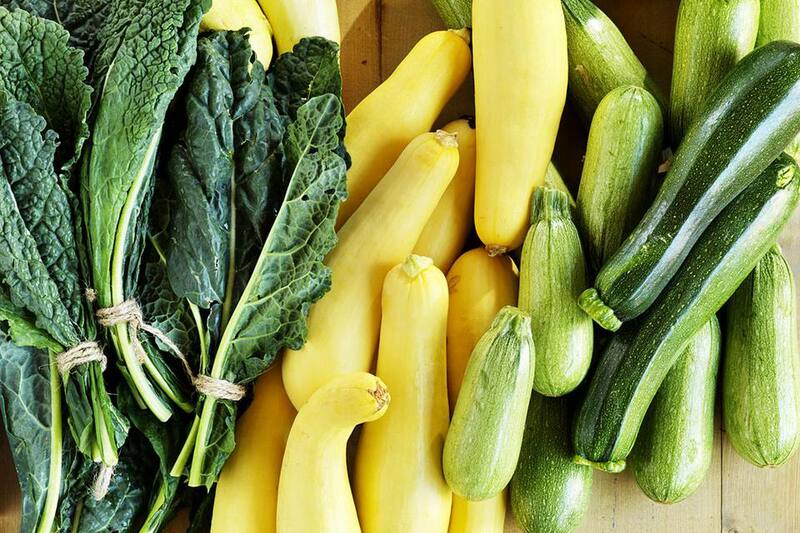 Summer squashes, such as zucchini, crookneck squash, pattypan squash, and others are classified as Curcurbita pepo, as opposed to winter squashes and pumpkins which generally belong to either C. maxima or C. moschata. Members of C. pepo do not store well, unlike their winter squash relatives, so they are absolutely perfect when eaten fresh and young--baby summer squashes are absolutely delicious and can be a rather pricey treat unless you grow your own. Summer squash is grown very easily from seed. You can either start seeds indoors, three to four weeks before your last frost date or sow them directly in the garden after all danger of frost has passed. Plant seeds in hills of six seeds, and then thin to the three strongest seedlings after they have their first true leaves. Summer squash should be planted in full sun, in rich, well-drained soil that has been amended with compost and manure--these plants are heavy feeders. The two main things you can do to keep your summer squash plants healthy and productive is to provide plenty of water and to fertilize them regularly. Water your plants when the top inch of soil is dry (test by poking your finger into the soil) and then, water deeply and gently so the water percolates down into the soil. This will encourage the plants to send its roots deeper into the soil and they'll be less likely to suffer in hot, dry weather. Side dress your squash plants monthly with compost, composted manure or vermicompost, and give them a weekly foliar feed of fish emulsion. All in all, summer squashes are easy to grow and will provide you with a bountiful harvest. Before you know it, you'll be sending friends and relatives home with armfuls of zucchini from your very own garden.